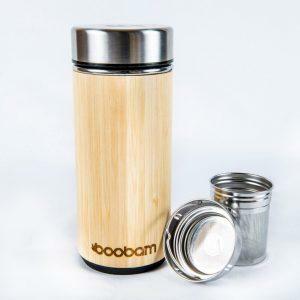 Made from one of the most sustainable raw materials available in nature, EcoSouLife Bamboo is made from 100% renewable plant-based materials like Bamboo Fiber and Starch. Bamboo is actually a fast-growing grass that (unlike trees) can be harvested without destroying the plant. 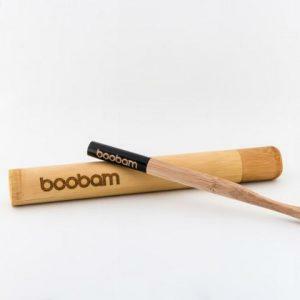 The bamboo fiber, the waste material left behind from traditional manufacturing processes, is collected and repurposed to create a wide range of contemporary, stylish and durable lifestyle and outdoor products. 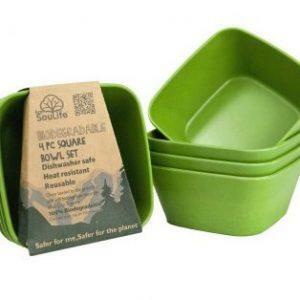 Containing zero oil-based plastics or melamine, when buried, these products return back to nature without without harming the environment. 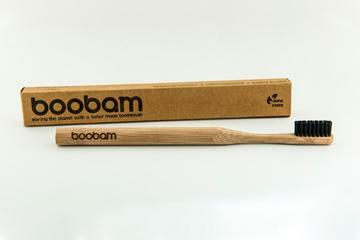 *While this product is made of all-natural bio-based bamboo material, this product does not degrade in your cupboard. For years of normal use, wash by hand or in the dishwasher and dry. Not for use in microwaves. Bamboo will naturally biodegrade when buried in soil or landfills when moisture, bacteria, heat and other factors are present. Biodegradation period may vary depending on environmental conditions. Note: A reusable straw cannot be used with the bamboo lid.